Always killing houseplants? 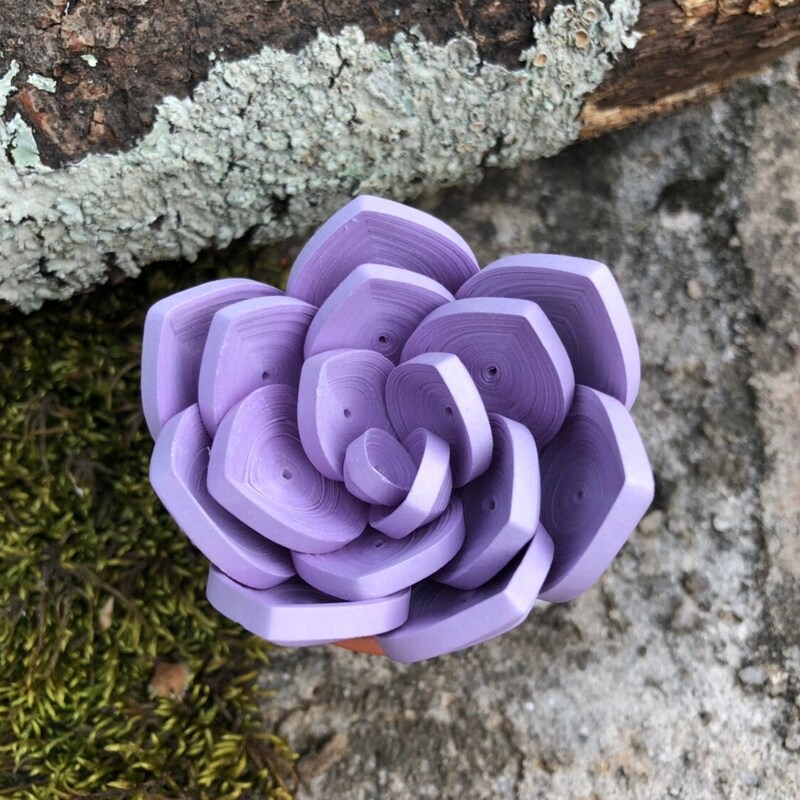 Can’t keep a succulent alive? 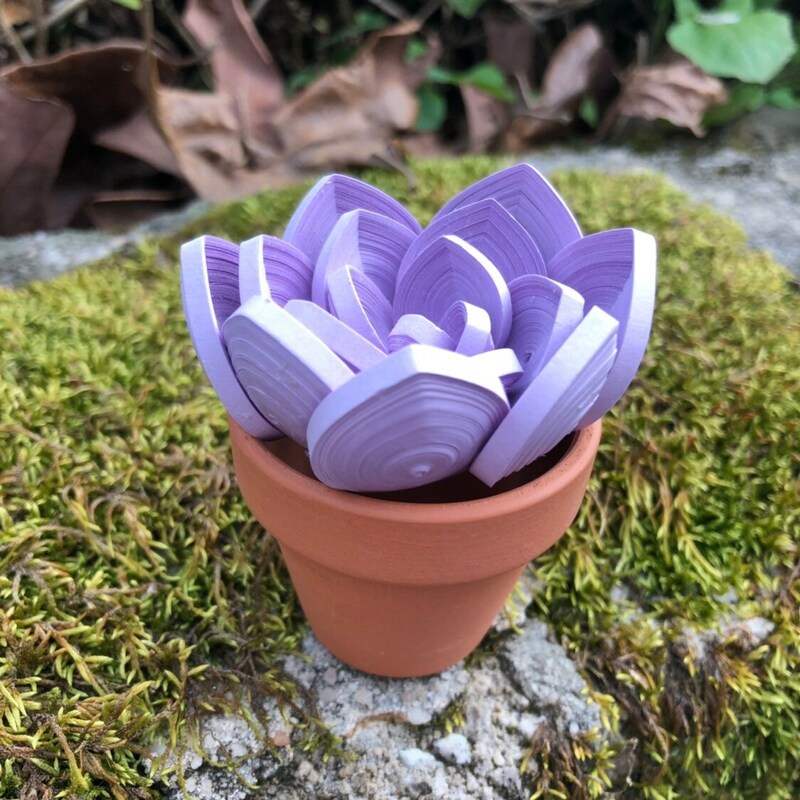 Well... cheer up your window sill or bring some life into your workspace with this cheerful mini paper succulent plant! 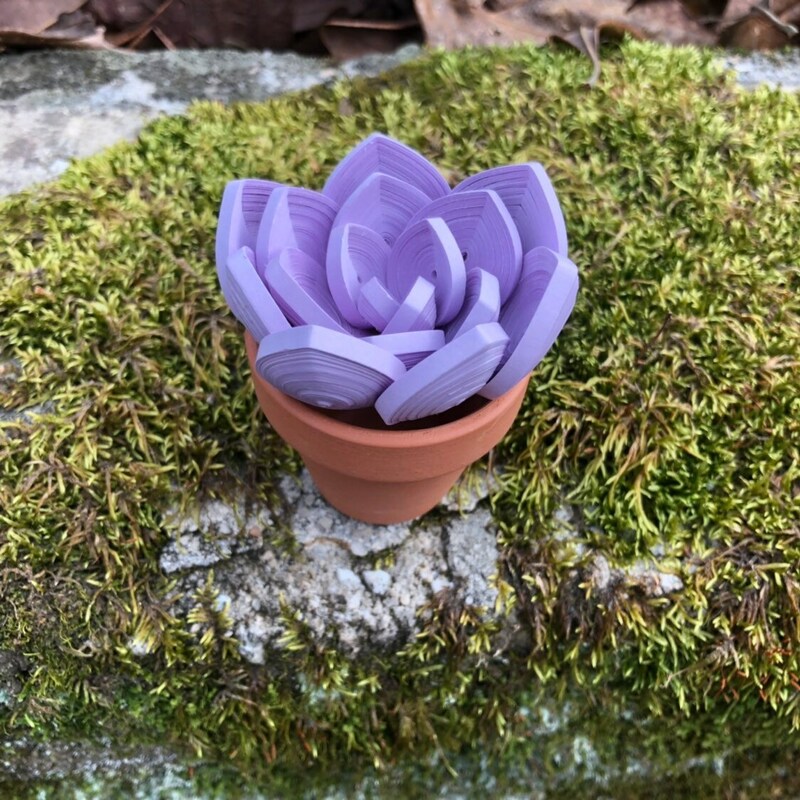 This is a one of a kind, handmade quilled succulent decoration in a terra cotta pot. 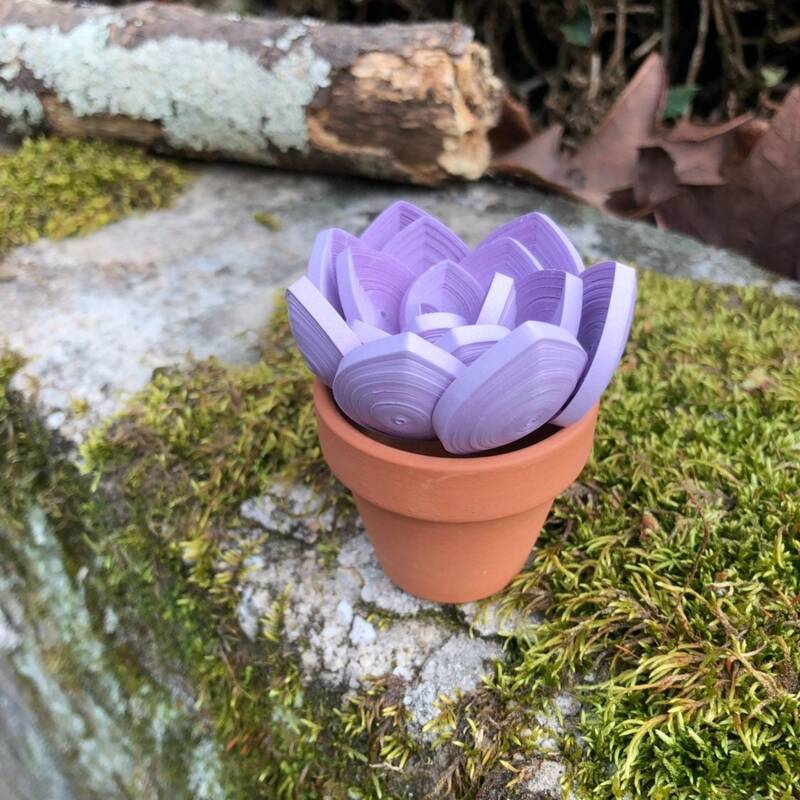 You will receive one unique 3” across and 2.5" tall succulent made with light purple 1/8” wide paper in a terra-cotta pot that is 1.75” at the widest point. 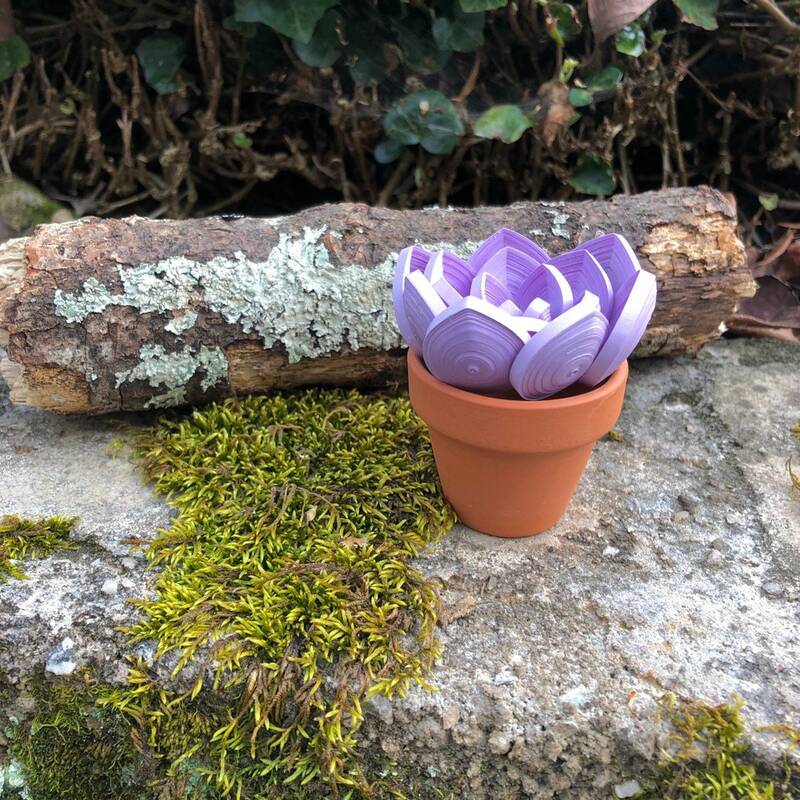 I have also sealed this beautiful mini cactus with a clear sealant to enhance the durability of the decoration so you will enjoy it for years to come! This would look great sitting on your desk or coffee table! I can also add a string and ornament hook on and it can be used as a Christmas ornament on your Christmas tree this year! Makes a great gift!